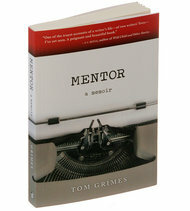 In his new book Mentor, Tom Grimes explores his friendship with Frank Conroy, who was the director of the Iowa Writers’ Workshop for almost twenty years, offering the reader an unvarnished account of the vagaries of MFA programs, the fickleness of publishers, and the anguish and second-guessing that even the best writers suffer. He recently answered our questions about the book via e-mail. You write of Frank Conroy’s memoir, “What electrifies Stop-Time is its demonic anger.” There’s definitely some anger in Mentor, and a strong brew of other emotions. How did you marshal those into a finished book? Type angry and revise calmly? Actually, I never expected to write the book. Its existence is due to pure chance—an off-the-cuff comment by a Tin House editor who suggested that I write about Frank Conroy’s work. Instead, without giving it much thought, I began to write about Frank and me. Since the memoir’s inception was accidental I didn’t know what emotions I’d encounter. I simply knew that I had the beginning of the story—when I met Frank Conroy—and the events that happened during the sixteen years we were friends. Other than that, I handled what came at me, through my recollections, on a daily basis. Usually, I had no idea what would come next until I was just about to write it. Certain parts of the memoir clearly needed to appear: writing my second novel, describing its fate, continuing to write, and my relationship with Frank. But the memoir opens up into a larger meditation on friendship. I never really considered Frank my “mentor.” I considered him a friend and I was more interested and invested in that relationship than I was in our relationship through writing, once we’d moved past the experience of my second novel’s fate. Also, I revised sentences relentlessly and that marshaled my emotions as I wrote. And the quickness with which events moved saved me from the sandpit of self-absorption, which any memoirist absolutely has to avoid. Has Conroy’s initial snubbing of you at a reading in Key West influenced the way you act at your own readings? You are unsparingly self-critical in the book, especially about your second novel, Season’s End: “I’m a failure as a writer because I’ve overreached; my ambition was larger than my talent.” How are you judging failure here? My sales were lousy and my novels—no matter how good some people (or reviewers) told me they were, or how good I thought they were—hadn’t won any prizes, so I was left in a vacuum. The literary world didn’t provide me with a sense of my worth as a writer, or give me a reason to continue writing. Nevertheless, I did. That was personal, and that had to do with my ambition. I wanted to be a great writer. I wanted my books to occupy the same shelves that Dostoyevsky, Hemingway, and Pynchon’s books occupied. I wanted to write books that would change the way people saw the world. To me, that was success, and according to those standards I overreached. Had I set my sights lower, at age nineteen, which is when my ambition was first formed—before I’d written a word of fiction!—I may have been less tormented for the past twenty years. Writing about writing can be tricky, but you capture both the feeling of sitting at the typewriter and the experience of the workshop so effectively. Did you have any forebears to look to in composing these scenes? Not that I can think of. In Mao II, Don DeLillo writes several great paragraphs about the tedious nature of the work. 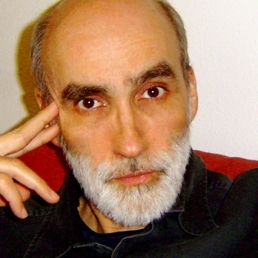 Roth writes about “hating the book” at some point during a novel’s composition. His novel The Anatomy Lesson is a good primer on the joys and horrors of writing fiction. That’s about it. Mainly, I drew from my experience, but it’s critical for a memoirist to avoid self-absorption. Often, while writing the memoir, I looked at myself as a stranger, some artifact from the past, and not necessarily my past. So perhaps I stumbled onto a universal experience by scraping away all evidence of myself and thereby found the archetype all writers embody. Given you own experiences, do you think creative-writing programs should also teach their students not just how to write, but how to publish? I’ve never made publishing a mystery to my students. Each year, during our first workshop, I ask if they have any questions about publishing. At Iowa, publishing was never discussed. Talking about it was secretive, but if someone published a story or sold a book it immediately generated gossip. I encourage my students to be much more open and happy for one another’s success. Whenever someone in the program publishes a story, a poem, or sells a book, we send a note to everyone on the MFA e-mail list. There should be no jealousy. As for the practical part of publishing I tell students to do several things. Read at least some of the journals to which they submit work. Send a brief—two or three sentences tops—cover letter with their story, poem, or query to an agent or editor. Include in it where you’re studying or have studied creative writing, and if you’ve earned an MFA. Also, list the work you’ve had published, if you’ve had any published. Then keep a calendar. Note the date you mailed your work and a date three to four months later at which time you can sent a polite inquiry about the status of your work (SASE included). Also, immediately submit your newly rejected work to another journal or magazine. Keep it in circulation until you no longer believe it’s good enough to be published. Then put it away forever. You have to be your own secretary, I tell them. And I add that publishing world connections or contacts are meaningless unless you have high-quality work to show an editor or agent. There’s no mystery. There’s simply writing followed by the sometimes dreary and dispiriting (but occasionally thrilling and successful) mechanics of starting out as a writer. I write about this in Mentor because I remember what it was like for me. Maybe those who read the book won’t feel so disheartened or alone.